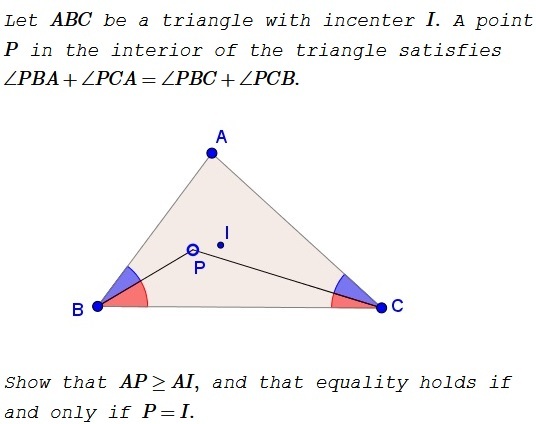 I am grateful to Siyoun Sung for pointing out that this 2006 IMO problem has the elegant solution described above. 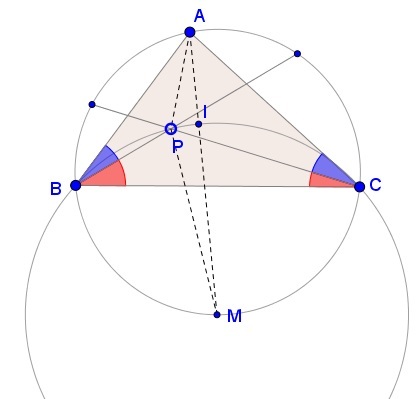 Siyoun Sung has observed that the problem succumbs easily based on a property of the incircle. It's edifying to compare this proof with an older one.